Under, behind and inside many of the apps we use every day, a revolution is underway. It’s a revolution that started decades ago but today is empowering companies to deliver better, smarter services with greater ease and on broader scales than ever before. It’s the artificial intelligence revolution, and it’s changing everything. 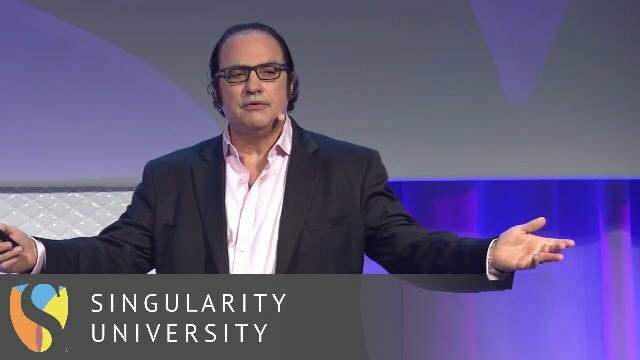 At Singularity University’s inaugural Global Summit, Neil Jacobstein, chair of Artificial Intelligence and Robotics, provided a primer showing how artificial intelligence literally transforms everything it touches. First of all, it’s critical to define the scope of artificial intelligence (AI), which can be categorized into four areas: techniques in pattern recognition, software agency (that is, software that acts like real users), an exponential technology that is accelerating other exponential technologies, and a vision of a future superhuman intelligence (that fortunately hasn’t happened yet). Anyone who has seen a science fiction film is likely familiar with this last area, but it’s the other three areas where AI is making huge strides at a revolutionary pace. Jacobstein calmly and optimistically assures that this revolution isn’t going to disrupt humans completely, but usher in a future in which there’s a symbiosis between human and machine intelligence. Capital is “rushing” into the AI space to the tune of $2.4 billion in 2015. In the first half of 2016 alone, there were 200+ AI startups that raised over $1.5 billion. It’s an understatement to even say deal activity is fast and furious. Jacobstein pointed to algorithms like deep learning and its hierarchical pattern recognition as a major force driving the adoption of AI. With software like RStudio and Sentient, companies who would never have thought about getting into AI suddenly can. Whether it’s Alphabet’s recently announced tensor processing unit (TPU), Qualcomm’s new neural processing unit (NPU), Nvidia’s deep learning chip, or IBM’s TrueNorth neuromorphic computing platform, more chips are being developed to enable faster and more powerful AI. As important as hardware is to AI, large data sets are where machine learning algorithms really learn by refining hypotheses iteratively. From real-time information discovery to the integration of algorithms and data with TensorFlow, more tools for working with data are enabling analysis of an increasing number of publicly available datasets. For all the focus on software and hardware, Jacobstein’s thesis is that humans are as critical to the AI equation as machines. He points to the number of AI startups (Turi, Nervana, and DeepMind, to name a few) in recent years in which talent was the primary driver for acquisition. Today, we experience AI through the applications we use. It delivers value by augmenting human skills and extends our capabilities. But this isn’t an overnight thing. When first released, Siri had plenty of issues, but over time, it’s become increasingly useful and more companies have released virtual assistants, such as Microsoft’s Cortana and Amazon Echo. The final driver of AI adoption that Jacobstein highlighted was responsibility, especially noting that AI comes with tradeoffs that often boil down to trust. While applauding efforts like OpenAI to democratize access to AI, he emphasized the need for AI to demonstrate core human values. In the business world, this means that ultimately the winning formula is humans-plus-AI processes. But what does the AI revolution mean for the future? Above is a clip of Jacobstein highlighting the AI revolution from the recent Exponential Finance Summit. Clearly, the AI revolution is already here, but we’ve only scratched the surface on what’s to come. Promise or peril, AI will increasingly transform our lives. It’s time to pay close attention.